BOSTON, Sept. 24, 2018 — Air Canada President and Chief Executive Officer Calin Rovinescu is being recognized with the CEO Lifetime Achievement Award at the Airline Passenger Experience Association (APEX) EXPO opening in Boston today. Mr. Rovinescu is the first CEO from the Americas to be presented with the award by APEX, an international association dedicated to enhancing the passenger experience. In presenting the award, APEX cited Air Canada's significant global expansion and many product enhancements during Mr. Rovinescu's tenure as well as the large investments made by the carrier to make the customer experience world class. At the award ceremony, Mr. Rovinescu will also accept APEX's 2019 Five Star Official Airline Rating for Global Airlines Award. Air Canada is the only airline in Canada to be rated by APEX with a Five Star Global Award which is based solely on customers' verified feedback. The APEX CEO Lifetime Achievement Award is one of several leadership awards Mr. Rovinescu has won as President and CEO of Air Canada. In July, he won the Executive Leadership Award at the 2018 Airline Strategy Awards. Previously, he was named Canada's Outstanding CEO of the Year (2016) and was selected by the Globe and Mail's Report on Business as Canada's Best CEO (2013). In June of 2018, he was named a Member of The Order of Canada. APEX encompasses a network of businesses and professionals that are committed to providing a world-class airline experience for passengers around the globe. As a non-profit, APEX reinvests all of its resources to better serve its members. 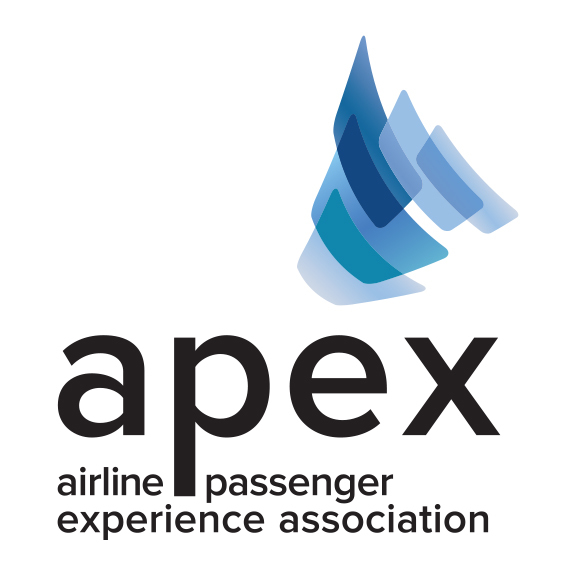 Every day, APEX members evaluate the passenger experience through an influential community and are improving every aspect of the airline experience: from designing, building and installing seating, entertainment and communications systems on commercial aircraft, to airport lounges and in-flight dining. For more than four decades, APEX has worked to strengthen the industry and enable business opportunities through education, innovation, networking and recognition. For more information and photos from the APEX Award Ceremony, please visit apex.aero, sign up for the APEX Daily Experience e-newsletter, or follow APEX on Twitter, Facebook, Instagram, and LinkedIn. Air Canada is Canada's largest domestic and international airline serving more than 220 airports on six continents. Canada's flag carrier is among the 20 largest airlines in the world and in 2017 served more than 48 million customers. Air Canada provides scheduled passenger service directly to 64 airports in Canada, 59 in the United States and 98 in Europe, the Middle East, Africa, Asia, Australia, the Caribbean, Mexico, Central America and South America. Air Canada is a founding member of Star Alliance, the world's most comprehensive air transportation network serving 1,317 airports in 193 countries. Air Canada is the only international network carrier in North America to receive a Four-Star ranking according to independent U.K. research firm Skytrax, which also named Air Canada the 2018 Best Airline in North America. Air Canada was also named the 2018 Eco-Airline of the Year by the respected airline industry publication Air Transport World in its 44th Annual Airline Industry Achievement Awards for its commitment to emissions reductions through supporting the development of alternative fuels, its numerous green programs and partnerships, and being the first airline worldwide to voluntarily join the World Bank's IMF Carbon Pricing Leadership Coalition. For more information, please visit: aircanada.com/media, follow @AirCanada on Twitter and join Air Canada on Facebook.